The family and friends of Sara Elizabeth Stubblefield have established a foundation* for the purpose of creating and awarding a scholarship in memory of Sara. She developed epilepsy as a high school junior, was valedictorian of her graduating class and was a 1996 honors graduate of Greenville College. She received a Masters Degree in Social Work from Washington University in 1998 and earned the designation of Licensed Clinical Social Worker. Sara was a fearless advocate for epilepsy education and research. She dedicated her life to making a difference for better care and treatment for people living with epilepsy. 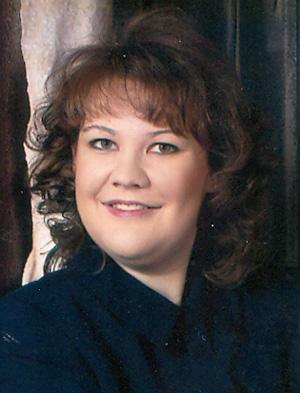 She had served for ten years as the Epilepsy Services Coordinator of the Epilepsy Foundation of Southern Illinois and was participating in the Epilepsy Foundation of America’s annual Public Policy Institute in Washington, D.C. at the time of her unexpected death in March 2011 at 36 years of age. Sara accepted her condition with grace, recognized the limits of her physical abilities, but never allowed her condition to define her existence. *Note: The Sara Elizabeth Stubblefield Foundation is a not for profit corporation organized exclusively for charitable and educational purposes under Section 501(c)(3) of the Internal Revenue Code of 1986. The Scholarship is endowed and a $2,000 scholarship will be given every year. Applications for the 2018 Scholarship are due by April 30, 2018. The Sara Elizabeth Stubblefield Memorial Scholarship recipient will be selected by a committee of at least 5 reviewers using a point system. Applicants will be judged on various merits, including: how well the applicant meets the scholarship’s vision, essays, letters of recommendation, academic merit, achievement and/or community service, and financial need.